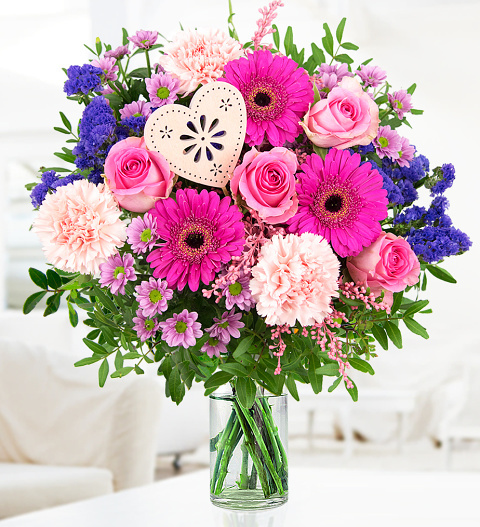 Our I love Mum bouquet is that perfect arrangement that will give that wow factor this Mothers Day. A truly wonderful bouquet skilfully arranged with sweet fragrant roses, Gemini flowers, chrysanthemums and carnations. I love Mum is available for UK next day delivery and comes with a FREE box of delicious Belgian chocolates. Chocolates may contain nuts.